Uploaded on Sep 15, 2009 Mike Evans, skipper, and his Blue Heron Canoe crew thank all the volunteers for their help on the 2009 Tribal Canoe Journey hosted by the Suquamish Tribe. Snohomish Tribal Member Bear VanSenus was one of the children in this Public Service Announcement. 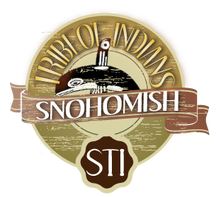 Oct 13, 2014 Several Snohomish Tribal Members were at this event and are shown in this clip. Sorry for the quality, I had recorded the airing of this on my cell phone. Albert Little Bear Worthington sharing what canoe journey means to him. Albert Little Bear Worthington sharing what canoe journey is.